Acorn ITM first opened its doors for trading in October 1991 on a premises situated at Riverlea Road in Hamilton. 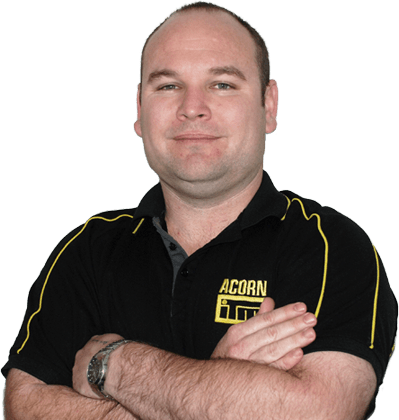 The late Garry Snowling opened Acorn with a staff of three, determined to build on a slogan “from little things, big things grow” and since then it has only been onwards and upwards for the Acorn ITM team. In 1993 Acorn joined the Independent Timber Merchant (ITM) group. Acorn ITM was one of the early members of ITM that now stands at over 90 stores nationwide. Being a member of the ITM group not only allows Acorn to source a large variety of building mate­rials at very competitive pricing, but also means business decisions can be made at a store level. January 2000 saw the business move in to their new premises. With the main goal of the move to provide customers with a “one stop shop”. These new premises include a large hardware showroom and massive 22,000 square foot undercover drive through wallboard. Acorn ITM is strongly focused on trade, but we pride ourselves on how we work with any customers, including the DIYers. Acorn ITM is very proud of the repeat business it has with its retail customers. Consistently low prices, “specials”, and willingness by all staff to provide the customer the right products, at the right price, with the right advice, ensures customer satisfaction. The staff are always reminded that it is not Acorn paying their wages, but rather every customer that walks through the door. This kind of value placed on each customer is something that Garry had always stressed to every employee. So come in and see us, no matter how big or small the project. anyone of us to help with whatever you need. Having worked through every job we have at Acorn ITM, Scott knows the company like the back of his hand. Carolyn has been with the company since 1992 and always knows what is going on. Look for a sponsorship or community support? Our Marketing Manager will see you right! Our estimating team has decades of experience combined. Gary has 20 years’ experience in this role, and has built quite the network. With past experience as a project manager Warwick brings a lot of knowledge to the team. Thank you to Warwick and Gareth for getting our timber here so quick! We REALLY appreciate it. Also thank you to the dude who delivered everything and helped me put it in the right place! You guys are awesome! I have been dealing with Acorn ITM since they opened, first with Garry Snowling and now his four sons. They are a good bunch of people and will always go the extra mile for their loyal customers. I would recommend Acorn ITM to any builders that care about quality customer service and enjoy talking to like-minded people. My wife and I run Anton Berry Construction and have traded with Acorn ITM for 11 years. I have never felt the need to shop around as I have always been impressed with the great pricing, knowledge shared and constant updates on all facets of construction. I whole-heartedly recommend them for any up-and-coming projects and know you will enjoy the Acorn ITM team experience. I have been a customer of Acorn Building Supplies for the past 19 years and have always valued their helpful and friendly team of sales, product specialists, yard and office people. They efficiently supply me with everything I need on a job and all work really hard to provide excellent customer service. I would strongly recommend Acorn as a great local building supply specialist. We have been using Acorn ITM in excess of 10 years now and wouldn't use anybody else! We are just a small company but are treated as VIP's and are well looked after. The employees (out-delivering and in-store) are always very efficient and great to deal with"
I have been working with the Acorn ITM team for 7 years now and I am a loyal customer. I have had consistent and friendly support from day one. They have serviced my jobs from North Auckland to the Bay of Plenty, big or small. The Acorn team is service orientated and offer competitive pricing across a wide range of products. Every staff member will go the extra mile to get things done where and when you need them. They are friendly and supportive. They offer high-quality Frame and Truss for all my building projects. Overall, I highly recommend Acorn ITM to any builder or developer looking for the competitive merchant.